So I decided to break it up into two lists, one for “extreme” beer lovers, like myself, and one for regular folk (see here) who don’t want their beer to knock them on their asses after one glass. Feel free to buy and send me some of these beers! Hint, hint! 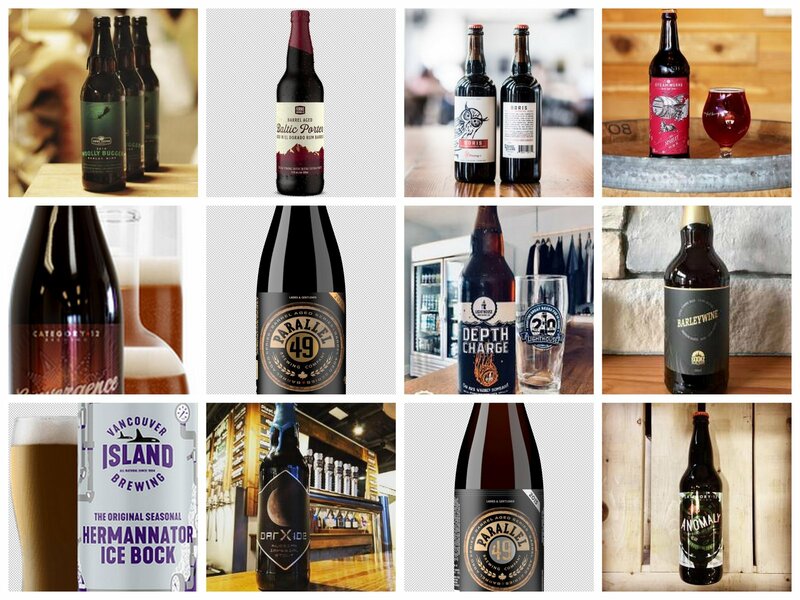 For more gift ideas, check out this year’s What’s Brewing BC Craft Beer Holiday Gift guide. 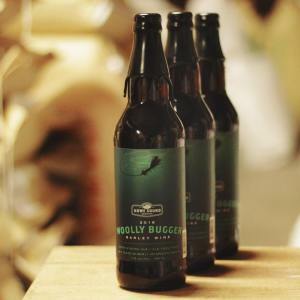 Brewed to the English style, i.e., not hopped to hell, Woolly Bugger pours a deep mahogany color with a complex malt character that has hints of treacle, toffee, raisins, caramel, chocolate, plums, and blackcurrant, with a warming alcohol finish. This beer is consistently excellent, year after year. I always make sure to buy an extra one to cellar. That’s going to make quite the vertical! 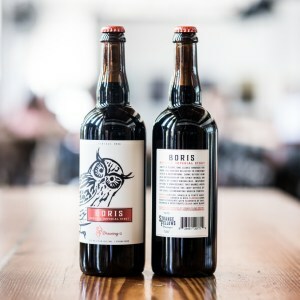 Boris is a Russian imperial stout that has been barrel-aged for one year prior to release. It is characterized by huge roast barley and dark chocolate flavours, with suggestions of dark & dried fruits adding complexity, and peat smoked barley lending a Scotch-like nose. This strong dark lager was aged for 9 months in oak barrels which once held bourbon, before being shipped to Guyana, where they were filled with El Dorado rum for 12 years. It is rich and boozy with flavours of caramel, toffee, and vanilla. 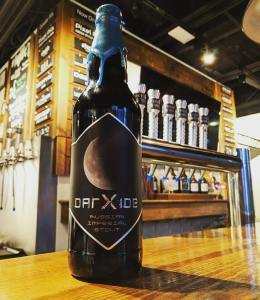 Deceptively easy-drinking for the ABV! Parallel 49 really knows how to make a good barley wine. After being out of production for a few years, they have finally decided to bring it back for the holiday (release date TBA). This special cork & cage release was aged in Sagamore Spirit rye whiskey barrels for two months to impart rich flavours of spicy rye, dark fruit, and charred oak. 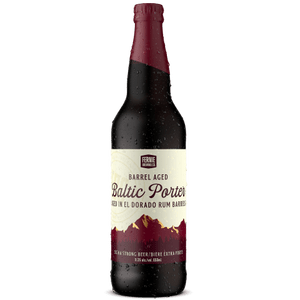 They describe it as being full-bodied with notes of sweet vanilla, molasses, honey, toffee, and caramel with hints of dried prunes and dark chocolate covered raisins, and a long warming finish. 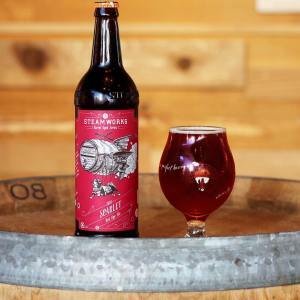 Scarlet is a rye barley wine that was carefully aged for months in Woodford Reserve rye whiskey barrels. The result is a vibrant red brew with rich flavours of caramel, toffee, vanilla, rye spice, and oak, with a warming finish. Parallel 49 hasn’t released this year’s RIS yet, but I’ve been assured that it will be out before Christmas. It’s always a solid imperial that has all those lovely notes of coffee, chocolate, and roasted malt that characterize a great stout. Rumour has it that they aged this year’s version in Sagamore Spirit rye whiskey barrels for two months, which would be amazing! 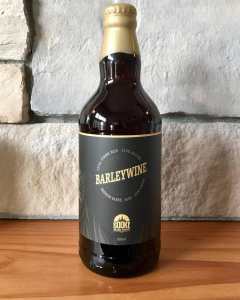 This award-winning English-style Barley wine is resinous with the rich malt character of the barley that was 100% grown and malted on Vancouver Island. Its long aging period in bourbon barrels provides bourbon sweetness and notes of vanilla from the oak of the barrels. Convergence is a barrel-conditioned version of a rye old ale C12 released back in 2016. The base beer has been refermented for two years with Brett. lambicus in a blend of 75% bourbon barrels and 25% wine barrels. 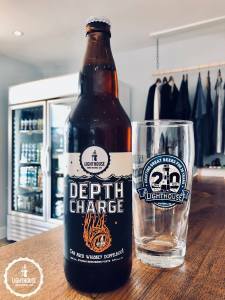 The 2018 version of Depth Charge is an oak-aged rye whiskey dopplebock, with rich notes of toasted bread, caramel, toffee, a hint of vanilla, spicy & earthy rye whiskey, and toasted oak. It’s one of the best Depth Charge releases yet! Though I would like the Scotch ale to come back one year! 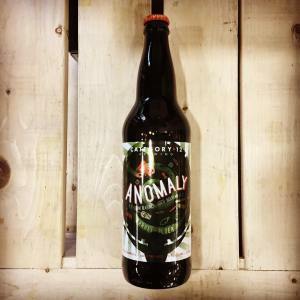 Anomaly is a big, bold ale reminiscent of a Belgian Quadrupel, which was aged in Woodinville Whiskey American oak bourbon barrels for 10 months. 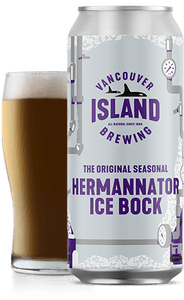 Named after their original brewmaster, Hermannatoris a German-style Eisbock—an extremely strong lager that has been freeze distilled. It has a rich malt body, with notes of chocolate, coffee, and brandied plums. 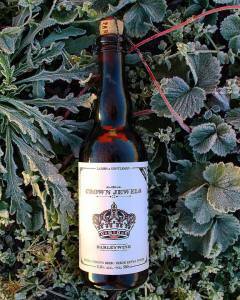 This year they even made a bourbon-barrel aged version if you are looking for something a little different. I still think the original is the best, TBH! 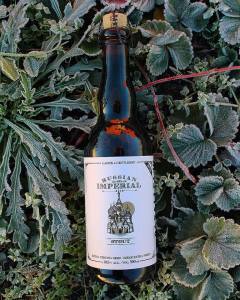 Formerly know as Dark Side, this Russian imperial stout has a bold & creamy body with notes of chocolate, coffee, and black currants. What I like about this one is that it’s an unadulterated imperial. No adjuncts, no barrel-aging, just straight-up malt deliciousness! This story originally appeared on Bring Your Porter to the Slaughter. Ed "The Beer Geek" Kaye is the author of "Bring Your Porter to the Slaughter", one of BC's very best beer blogs. He's also an Associate Editor of What's Brewing, handling the Upcoming Exbeeriences events column for our weekly Hopline e-news.